Lamborghini Aventador J which showed at Geneva Motor Show was truly a rare supercars, it was said that there's only one of this Model was made this far, It's like a dream car for those who love Lamborghini supercar, Lamborghini Aventador J or Jota is a masterpiece by Lamborghini, the names Jota was after the Spanish pronunciation of the letter, is not the roadster version of the Aventador coupe. It is not meant to herald a new Lamborghini model line. 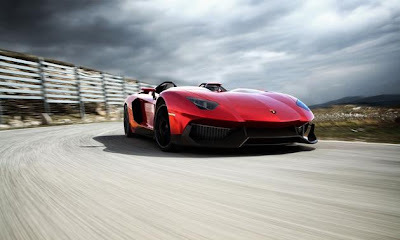 At this moment Lamborghini Aventador J was the most exclusive new Lamborghini. 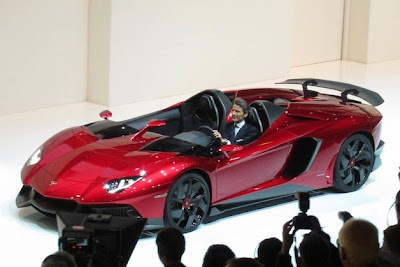 The model shown at the Geneva motor show was the only example built by the Italian supercar manufacturer and was sold to a private collector for a reported 2.1 million euros, or $2.75 million. When the auto show closes, the J will be shipped to the collector. 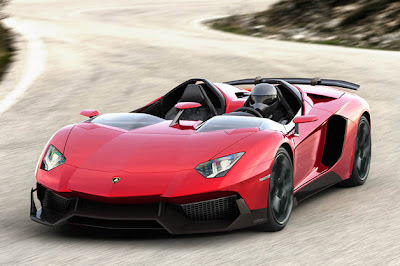 the Lamborghini Aventador J is still considered to be road legal, and under the hood it is packing a 700bhp V12 engine found in the “regular” Lamborghini, and will be missing several other features such as an audio system, navigation or HVAC system which have been removed to help reduce the vehicle’s overall weight. It will also feature composite seats with inserts made from “Carbonskin”. How about the engine specs of this Lamborghini Aventador J? 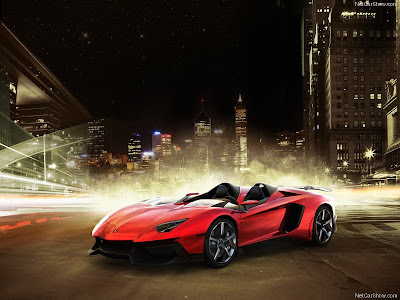 J Roadster uses the same 700-horsepower, 6.5-liter V12 as its hardtop kin, and Lamborghini states that the open-air J will hit speeds as high as 186 miles per hour. 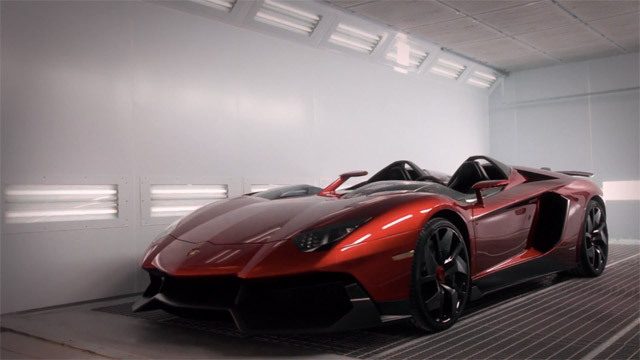 In an effort to save weight even further, the automaker has used a new carbon fiber fabric called "Carbonskin" that is apparently soft and supple enough to be used on the seats and interior trim. Below was some beautiful pictures of this rare Lamborghini Aventador J.